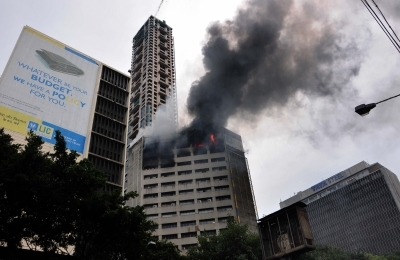 Kolkata, Oct 19 (IANS) A fire enveloped the 16th floor of a high-rise building here on Thursday, officials said. 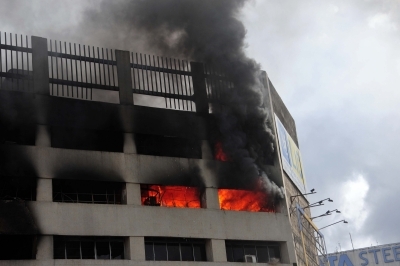 The blaze erupted around 10.30 a.m. on a Diwali day in the server room of the Jeevan Sudha building in Chowringhee, the city’s central business district. 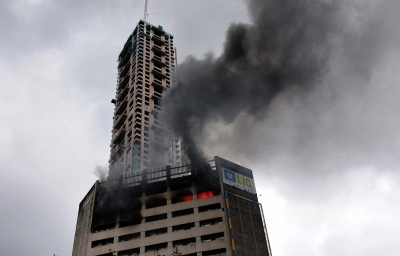 As many as 14 fire tenders were pressed into service, West Bengal Fire and Emergency Services officials told IANS. No casualties were reported.